Food Poisoning: Keep Yourself Safe With These 12 Facts! 12 things you should know about food poisoning and how to take care of yourself. Risks, symptoms and cures for food poisoning. We all know it. Some of us have spent fateful hours dealing with it. Food poisoning is common and often leaves you clueless about what caused it. It comes without a warning and is caused by contaminated or toxic food. It is characterised by long, exhausting visits to the bathroom. Here are twelve things you ought to know about this condition. 1. What you ate outside Check for hygiene in and around the restaurant. 2. What you ate at home food left open or improperly cooked. 3. What you ate raw Unwashed vegetables/fruits, raw meat (poultry), eggs. How is it worse than an upset stomach? 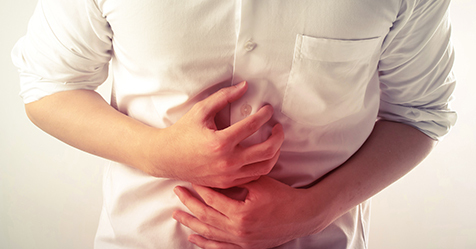 Food poisoning is more intense and if ignored could be more fatal than regular indigestion. Some tell-tale signs are high fever and severe diarrhoea. 4. It is characterised by watery stools and causes severe dehydration. 5. If not treated in time it can lead to impaired heart functioning or kidney failure. 6. There have even been cases of death caused by food poisoning. What are the risks of leaving it untreated? The most common serious complication caused by food poisoning is dehydration, which is a severe loss of water and essential salts and minerals from the body. If dehydration is not prevented and corrected it can lead to an electrolyte imbalance, impaired heart functioning, kidney failure, a coma, and even death! Also read about -Heart Failure: 7 things you should absolutely know right now! I dont like the sound of it. How do I stay safe? A few healthy habits and a bit of caution with storing/consuming food will keep you safe. 7. Dont leave any food, fruits and vegetables uncovered. 8. Wash your hands, vegetables, fruits, cutting instruments and surfaces thoroughly. Use a hand sanitizer before meals. 9. Cook food to a safe temperature, especially meat. Dont drink unpasteurized milk and dairy products. 10. Store food at the right temperature. Never leave food for later on consumption at room temperature. 11. Never forget to check the expiry date of anything you eat or cook. 12. When you decide to eat outside. Look for hygiene of service and surroundings. In a tropical country like India, there are higher chances of contracting food poisoning. While it is almost impossible to eliminate the chances entirely, remember that simple steps can help in a healthy and happy living. Have a question? Consult Dr. Chaitanya online. CallHealth Blog Articles. All rights reserved.